Susan & David Hartje, of Saddles That Fit!, have been fitting Endurance, English & Western saddles for ten years. They focus on educating clients while helping find the best saddle possible, or improving current fit. Susan’s fitting education includes studies with Master Saddlers and Equine Experts including Andy Sankey, Dr. Kerry Ridgeway, Dr. Joyce Harmon, Harry Whitney and others. However, her best teachers are horses. 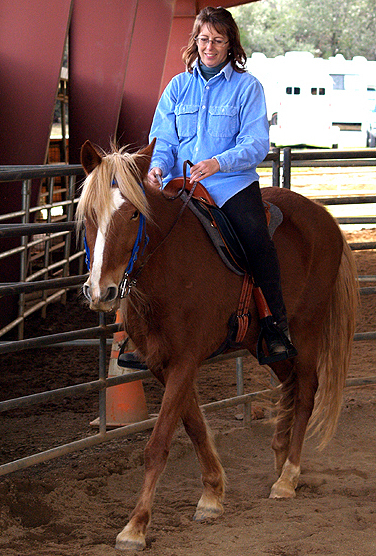 Susan is also a Certified Centered Riding Instructor and uses her understanding of Integrated Equine Health and Balanced Riding to help clients ride more effectively.